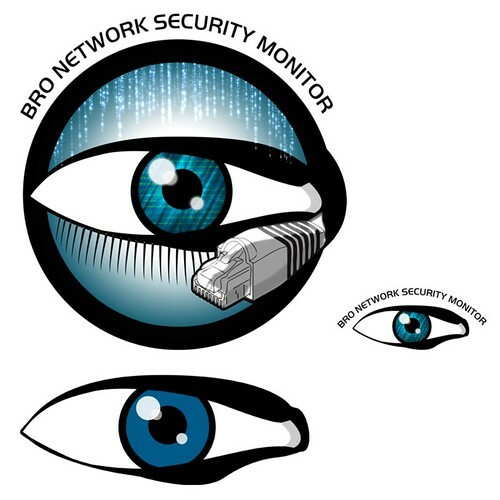 While focusing on network security monitoring, Bro provides a comprehensive platform for more general network traffic analysis as well. Well grounded in more than 15 years of research, Bro has successfully bridged the traditional gap between academia and operations since its inception. Today, it is relied upon operationally in particular by many scientific environments for securing their cyberinfrastructure. Bro’s user community includes major universities, research labs, supercomputing centers, and open-science communities. Bro is a passive, open-source network traffic analyzer. It is primarily a security monitor that inspects all traffic on a link in depth for signs of suspicious activity. More generally, however, Bro supports a wide range of traffic analysis tasks even outside of the security domain, including performance measurements and helping with trouble-shooting. Runs on commodity hardware on standard UNIX-style systems (including Linux, FreeBSD, and MacOS). Fully passive traffic analysis off a network tap or monitoring port. Standard libpcap interface for capturing packets. Unified management framework for operating both standalone and cluster setups. Open-source under a BSD license. Comprehensive logging of activity for offline analysis and forensics. Port-independent analysis of application-layer protocols. Support for many application-layer protocols (including DNS, FTP, HTTP, IRC, SMTP, SSH, SSL). Analysis of file content exchanged over application-layer protocols, including MD5/SHA1 computation for fingerprinting. Tunnel detection and analysis (including Ayiya, Teredo, GTPv1). Bro decapsulates the tunnels and then proceeds to analyze their content as if no tunnel was in place. Extensive sanity checks during protocol analysis. Support for IDS-style pattern matching. Turing-complete language for expression arbitrary analysis tasks. Domain-specific data types such as IP addresses (transparently handling both IPv4 and IPv6), port numbers, and timers. Extensive support for tracking and managing network state over time. Default output to well-structured ASCII logs. Alternative backends for ElasticSearch and DataSeries. Further database interfaces in preparation. Real-time integration of external input into analyses. Live database input in preparation. External C library for exchanging Bro events with external programs. Comes with Perl, Python, and Ruby bindings. Ability to trigger arbitrary external processes from within the scripting language. Pretty smart idea this one, we wrote about Yahoo! spreading Bitcoin mining malware back in January, but we haven’t really seen any of that type of activity since then. But this, this is a much better target audience – gamers with high powered GPUs! Especially as this is one of most hyped ‘next-gen’ games for 2014 (yes I’ve been eagerly awaiting it for my PS4). But pirating Watch Dogs via a torrent from popular warez group SkidRow could make you part of a Bitcoin mining botnet! Tens of thousands of pirate gamers have been enslaved in a Bitcoin botnet after downloading a cracked copy of popular game Watch Dogs. A torrent of the infected title, which supposedly has had its copy-protection removed, had almost 40,000 active users (seeders and leachers) and was downloaded a further 18,440 times on 23 May on one site alone. Pirates reported on internet forums that the torrent package masquerading under the popular torrent brand SkidRow had quietly installed a Bitcoin miner along with a working copy of the game. The Windows miner ran via two executables installed in the folder AppData\Roaming\OaPja and would noticeably slow down lower performance machines sucking up to a quarter of CPU power. Most sources have removed the offending torrent. Analysis has yet to be done to determine the location or identities of actors behind the attack. It seems like it was a massively popular torrent, so the infection could easily reach tens of thousands of pirate gamers, which would then turn into a Bitcoin mining botnet with tens of thousands of users (A fairly profitable proposition, even with the current Bitcoin mining difficulty). 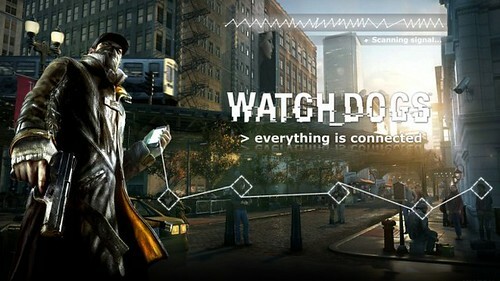 It’s also slightly ironic that the tagline for the game is “Everything is connected” as if you pirate it, everyone is connected..to the botnet. And of course the fact it’s a game about ‘hacking’ – although I haven’t played it yet and the reports of the hacking part aren’t great. Gamers were choice targets for Bitcoin mining malefactors because they often ran high-end graphical processing units (GPUs) and shunned resource-draining anti-virus platforms. “If you happen to download cracked games via Torrent or other P2P sharing services, chances are that you may become a victim of [a] lucrative trojan bundled with a genuine GPU miner,” BitDefender chief strategist Catalin Cosoi said of an early Bitcoin miner that targeted gamers. Using stolen dispersed compute resources was one of the few ways punters could make decent cash by crunching the increasingly difficult mathematical algorithms required to earn Bitcoins. Crims have in recent years foisted the compute-intensive Bitcoin miners in a host of attacks targeting valuable high-end GPUs right down to ludicrously slow digital video recorders. They might have been better off mining something else though (Scrypt based coins like Litecoin or perhaps even X11 mining), if they did X11 mining the users probably wouldn’t even notice any framedrops or their GPU fans spinning at full speed. I’m honestly surprised we don’t see more botnets based around cryptocurrency mining, I guess it’s just not that mainstream yet. And you need a good bait to get so many people to install malware these days (and get past their anti-virus software). Which is another reason gamers make a good target as they often don’t even use AV software or disable it for maximum performance. 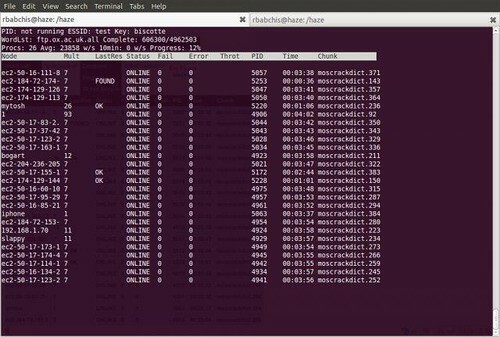 Moscrack is a PERL application designed to facilitate cracking WPA keys in parallel on a group of computers. This is accomplished by use of either Mosix clustering software, SSH or RSH access to a number of nodes. With Moscrack’s new plugin framework, hash cracking has become possible. SHA256/512, DES, MD5 and *Blowfish Unix password hashes can all be processed with the Dehasher Moscrack plugin. Hook Analyser is a freeware application which allows an investigator/analyst to perform “static & run-time / dynamic” analysis of suspicious applications, also gather (analyse & co-related) threat intelligence related information (or data) from various open sources on the Internet. Essentially it’s a malware analysis tool that has evolved to add some cyber threat intelligence features & mapping. Hook Analyser is perhaps the only “free” software in the market which combines analysis of malware analysis and cyber threat intelligence capabilities. The software has been used by major Fortune 500 organisations. The only similar tool I recall is – Malware Analyser v3.0 – A Static & Dynamic Malware Analysis Tool – which is by the same author and I assume is the precursor the more advanced Hook Analyser. So this story caught my eye and I found it pretty interesting as it reads like something out of a Tom Clancy novel crossed with a bunch of script kiddies, a Navy Sys Admin has been charged with conspiracy to hack – the interesting part was that he hacked the Navy (whilst working there..) and also did it from a Nuclear aircraft carrier! Seems like a pretty interesting scenario, I’m more interested in the technical details but all that’s mentioned is a case of SQL Injection – which isn’t exactly high-tech top tier hacking. It also seems like the hacks took place a fair time ago back in 2012, but the court case and its details are only surfacing now. A former systems administrator on a Navy nuclear aircraft carrier has been charged with conspiring to hack into government systems during a digital joy ride that spanned several months in 2012. Nicholas Paul Knight, 27, who referred to himself as a “nuclear black hat,” was discharged from the Navy after he allegedly attempted to hack into a Naval database while at sea serving as a systems administrator in the nuclear reactor department aboard the U.S.S. Harry S. Truman. On Monday, he and Daniel Trenton Krueger, a community college student in Illinois, were charged with one count each of conspiracy to hack in the U.S. District Court for the Northern District of Oklahoma. They were allegedly part of a hacker gang that went by the names Team Digi7al and Team Hav0k. According to court documents, the gang also included at least three minors who have not been identified or charged in the case. Authorities say they were motivated by a combination of anti-government sentiment, boredom, and thrill-seeking. The gang is accused of using SQL-injection hacks and other methods to gain access to various systems including ones belonging to the U.S. National Geospatial Intelligence Agency, which provides maps and other intelligence to the military, and a system belonging to the Department of Homeland Security’s Transportation Worker Identification system. The latter contains biometric and other sensitive data on workers who are issued special credentials to access secure areas of maritime facilities and vessels. The group also allegedly hacked or attempted to hack into systems belonging to Los Alamos National Lab, a number of universities and police departments, as well as the personal web site of Rashod Holmes, a musician who sold merchandise from his site. There’s also a lot of discussion about background checks, with two sides of the camp as usual – how is someone who has a criminal history hired to work for the Navy as a sys admin? And the other side is that maybe his mad l33t hacking skills could be why he got the job in the first place. Ethically it’s always an interesting debate, should you hire an ‘ex’ hacker – or is a hacker always a hacker? Can people change/reform/become morally sound? Or does having a bit of the dark-side in you make you better at your job? If you haven’t done any malicious activities – can you really understand the mindset of a malicious hacker? But despite more than two dozens hacks, the group had sporadic success. During an attempted breach of a Los Alamos Lab computer in April 2012, a systems administrator detected the hack and halted it before they could steal much data, according to a court document (.pdf). The hack of a computer at the National Geospatial Intelligence Agency got them the schematics for more than ten databases, but they failed to download the sensitive agency data they sought from the computer, authorities say. A May 2012 breach of an AT&T Uverse computer, however, got them mobile phone numbers of about 7,500 customers, as well as some email addresses of customers, physical addresses and cleartext passwords, the government says. 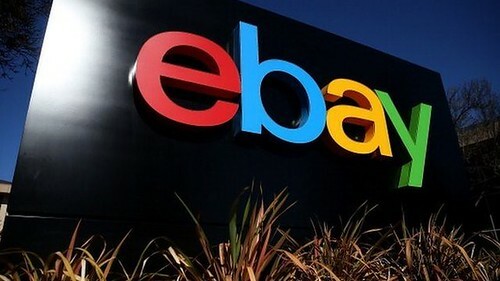 Three months later, according to authorities, they hacked into the website of Rashod Holmes and stole data on 1,000 customers, including the private bank account information of about 70 customers. They also breached the email account of the Ambassador of Peru in Bolivia and made off with the entire email contents of his account. The group boasted about their exploits through a Twitter account — @TeamDigi7al — and even published the personal information they stole to storage sites where others could access the data, authorities say. Knight, known online as “Inertia” and “Logic,” began hacking at age 16, according to the government, and was allegedly the self-professed leader of the gang who handled much of the publicity. Krueger, who was studying to be a network administrator and was known online as “Thor” and “Gambit,” allegedly performed most of the technical hacking. 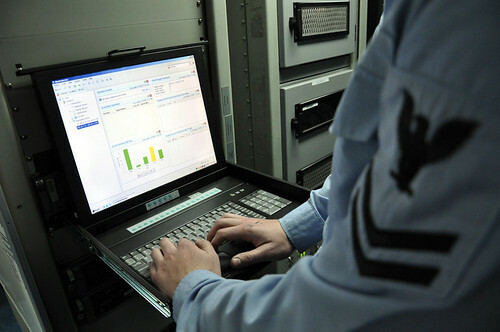 The investigation, conducted by the Naval Criminal Investigative Service, began in June 2012, when a breach of the Navy’s Smart Web Move website and database occurred. The system, also known as Navy-SWM, is used by the Navy to manage the transfer and relocation of personnel and their family members in all branches of the military — Navy, Army, Air Force, Marines and Coast Guard. The database contained more than a decade’s worth of stored sensitive personal data on about 220,000 service members and their families, including Social Security numbers and birth dates. It also stored the answers to security questions that members used to reset their passwords for the system — such as their mother’s maiden name or the names of their children. We’ll have to see what kind of charges get put up for this, I’m guessing there’s not going to be any ridiculous claims of terrorism in this case? As it’s quite clearly hacking without much of a point other than ‘because we can’. You’d think someone working for the Navy would be smart enough to not hack the Navy AND get caught, but hey – who are we to judge.